A group of Sheffield GPs have decorated their surgery with art designed by the local primary school, in an effort to involve the community in the new development. 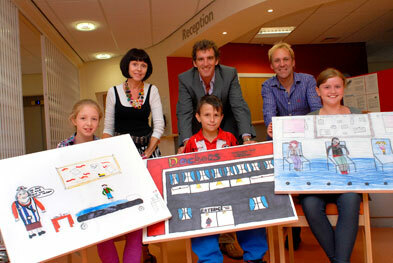 GPs at the Sloan Medical Practice, Sheffield, launched a competition asking local schoolchildren to design artwork in the theme ‘visit to the doctor’. The winning school received a prize of £250 and the pictures have been put up in the reception of the newly built surgery, which replaced the practice’s previous run down premises. Dr Ollie Hart, a partner at the surgery, said the practice was keen ensure the local community were involved in the development. He said: ‘We are very fortunate to have a brand new surgery, which we see as a resource for the whole community.